The best diet for dog with cancer is the one that works directly on one main important issue to get fixed first – The immune system. Your dogs immune system is it’s safety and protection mechanism – we have one too – and controls your dogs ability to protect itself from infection and disease. Cancer is believed to be caused by an immune system that has been compromised in some way, and it generally reveals itself at an advanced age and we’ll come back to this in a moment. Nine out of ten health complaints in a dog are directly linked to the diet they consume. Food is either good for a dog or it is bad for them, it cannot be both. And commercial dog food is heavily processed, fortified and preserved and that makes it essentially fast food or junk food. We are certain that our children need fresh food for best health, doctors have long told us that fresh food is essential to a child’s healthy outcome and that too much fast food will cause health problems. And it’s no different for our dogs – they need fresh food in their diet for best health. The connection between years of ingesting heavily processed fast food and cancer is a compromised immune system. The changes in your dogs DNA resulting from an over-stressed immune system that has over time simply began to break down allowing rogue cancer cells to proliferate. The internal system cannot cope any more with the daily barrage of chemicals, inappropriate food ingredients and the quiet stress this causes your dogs brain. 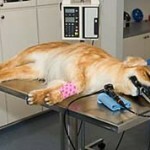 Research clearly shows that dog cancer is a preventable condition by the use of proper nutrition. The right canine nutrition supports and maintains a dog’s body naturally. Begin by feeding your young dog fresh food and cancer is prevented. The current chances of a commercial fed dog getting some form of dog cancer by age ten is 50%. Feeding your dog fresh food – the dog cancer diet – from a young age will cut that figure down to 5% or less. There are no guarantees in life, but while I cannot say that diet change will cure various dog cancers, I have witnessed the remission of cancer in dogs when following a healthy natural dog food diet. 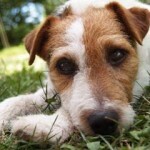 Please see this article for more on healing dog cancer with actual proof. 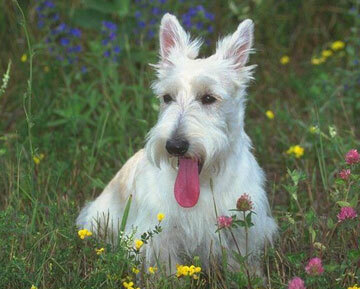 By feeding your dog fresh raw food, the medicinal effect is nothing short of incredible. The right food has the power to heal. And in this case it has the power to re-awaken your dogs battered, frazzled and broken down immune system. Once your dogs immune system is back in full working order from the diet, it can then go to work on fighting the cancer cells. Trying to fight your dogs cancer – whaterver the form of cancer is – with a dog cancer treatment that involves drugs, chemotherapy and modified prescription diets is a sure way to end your dogs life fast and empty your pocket book just as fast. The disease is already in control, the immune system is already broken and your dog is already weak and exhausted. The pain and suffering you and your dog will go through is not worth it when the answer is as simple as food that naturally boosts your dogs immune system and levels the playing field. Put aside your preconceptions about dog food and accept that you may have found a truth here, one that is as simple as nature itself. 100 years ago dogs did not get cancer and now it’s 1 in 2 dogs by age 10. And the common denominator is modern highly processed commercial pet food in cans and packets. Find the services of a holistic verterinarian, start your dog on a fresh raw food diet and you have an excellent chance of healing your dog alonside a host of other benefits. Watch the video below for more on dog cancer symptoms and the best diet for dogs with cancer. If you want the absolute best for your dog, get the free report below and discover the simple solution to ultimate dog health for life. Hope you’ll check out my website. I now have a store with 27 freezers – full of raw meaty bones, chicken carcasses, oxtails, turkey necks etc. It was my European dog trainer who showed me the way to raw. Results: clean teeth, fresh breath, LESS Poop!…the benefits roll on. Fantastic, well done, dogs need more people like you. I will add your resource link when I next update the video guide. Loved your website, the storefront picture really took me back to sunny days spent reading over coffee and pastries on cafe terraces in Momart Paris, one of my favorite cities.